So, how can you help? Get shopping! 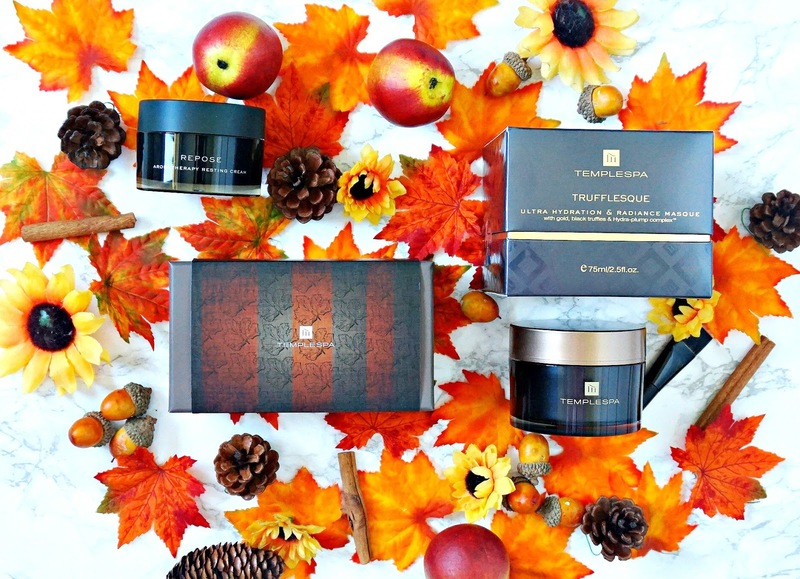 From today until October 22nd, Temple Spa have a buy 1 get 1 free offer on Repose. 10% of all sales during this period will be donated to The Mariposa Trust. The reason that the offer is on Repose in particular is that it is dubbed "a good nights sleep in a jar" and obviously during times of extreme stress and grief, our sleep is affected. 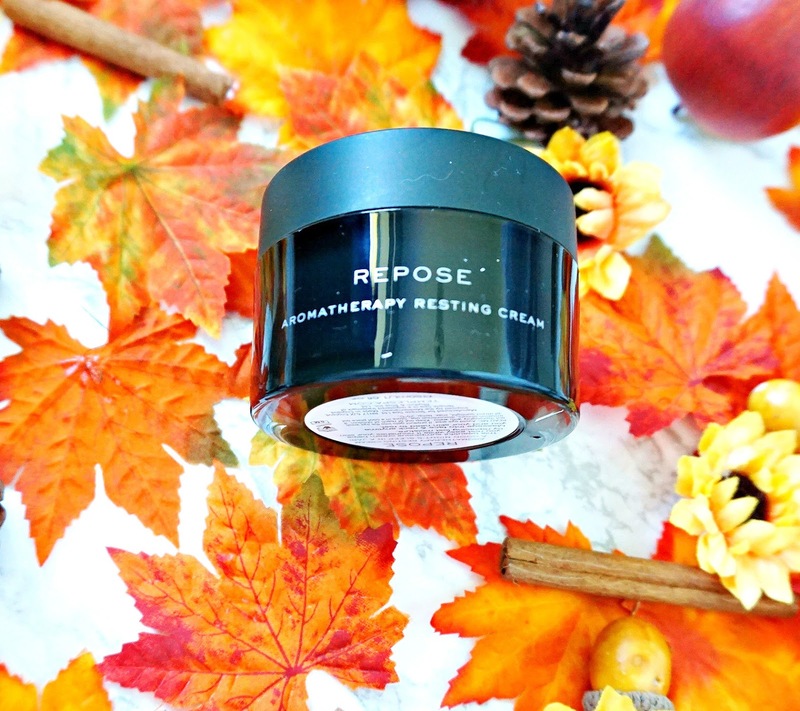 Repose is an aromatherapy face and neck night cream. It is intensely moisturising, yet not greasy and the scent isn't overpowering but it is very relaxing. Although it contains essential oils, it is suitable for even sensitive skin like mine. The scent is formulated from a blend of valerian, chamomile, lavender, frankincense, patchouli, bitter orange, geranium and clary essential oils - all of which combine to make a scent that really helps me to unwind. It can be used either as a night cream or as a mask by applying an even layer on the face and left for 2 hours before removing. 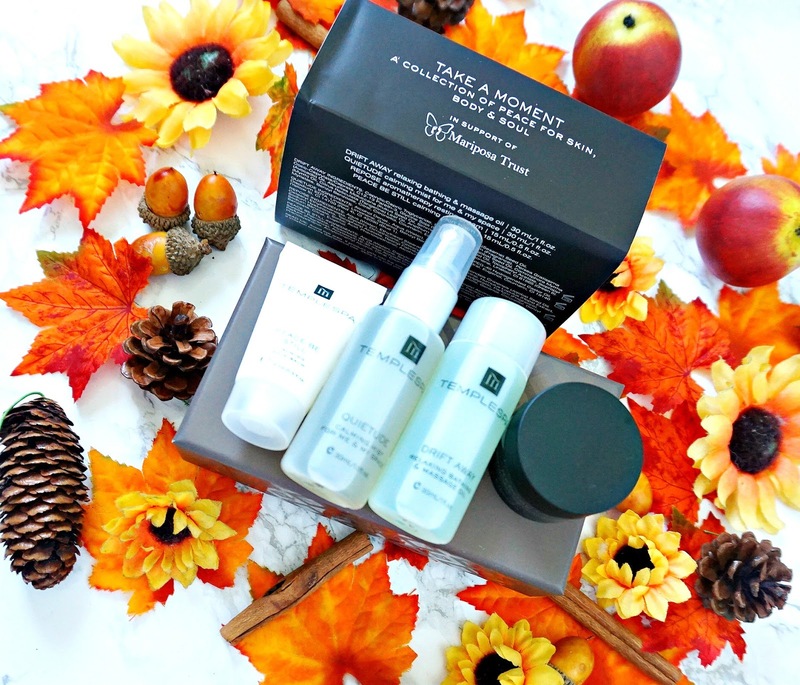 The second offer is on the Take A Moment Gift Set. This set comprises of 4 products and is normally priced at £29, however during October if you spend £65, you can buy it for £15. The set would be perfect for travelling or even for a gift for somebody (Christmas is only around the corner!). The set contains a 15ml tub of Repose, a 15ml tube of Peace Be Still (a skin balm that can be used on face or body, which contains extracts of lemon, coriander and nutmeg and smells absolutely beautiful), a 30ml bottle of Drift Away (a bath and massage oil) and a 30ml bottle of Quietude (a calming mist, which can be used on the skin or on bed linen or as a room spray). All of these items contribute to a relaxed space and will make it easier to unwind at night. Again, 10% of these sales will go to the Mariposa Trust. If you are planning on buying some skin or body care products for your loved ones for Christmas, then it would be a great idea to do so during this period because you would also be helping to raise funds for the charity. A product recommendation that I can give you is the Trufflesque Ultra Hydration & Radiance Masque. 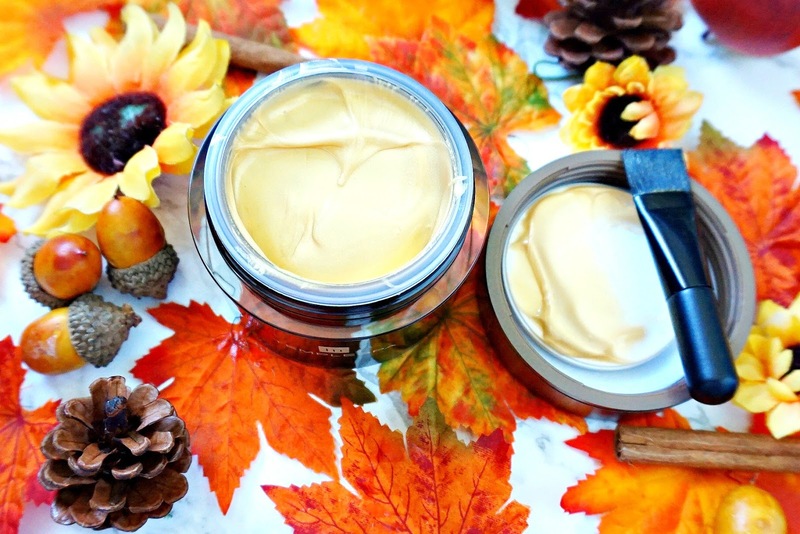 This mask is like a facial is a jar! The mask itself is gold in colour and it contains a collagen boosting Hydra-Plump Complex to firm and plump the skin. It is applied with the brush provided, after cleansing and left to work for 15-20 minutes, then massaged into the skin and left for a further 2-3 minutes before removing with warm water and a damp, flannel. The result is bright, tight and glowing skin. It is suitable for all skin types and is recommended for use once weekly. It would be the perfect pick me up before a special event. Another product that I have been testing is Bosom Pal, which as the name suggests is a bust cream. I haven't been using it long enough yet to confirm whether it will lift the bust, however I can say that the gel cream texture is very refreshing, it has a beautiful pink grapefruit scent and my skin in that area is feeling very supple. Temple Spa has a huge range of products from skincare and body care to aromatherapy products, products for men and a range of travel and gift sets so there is something for everyone. If you have never tried anything from them before, now is the time to explore the brand, whilst helping this amazing charity at the same time. I would love to hear your thoughts on this partnership and the products in the comments below. You can read more about The Mariposa Trust and the services it provides here. All products are bought by me, unless otherwise stated. This post is not sponsored but the Temple Spa products were sent to me. Opinion is always my own.